Limnionas. Limnionas is a seaside town in the southwest of the Greek island of Samos. 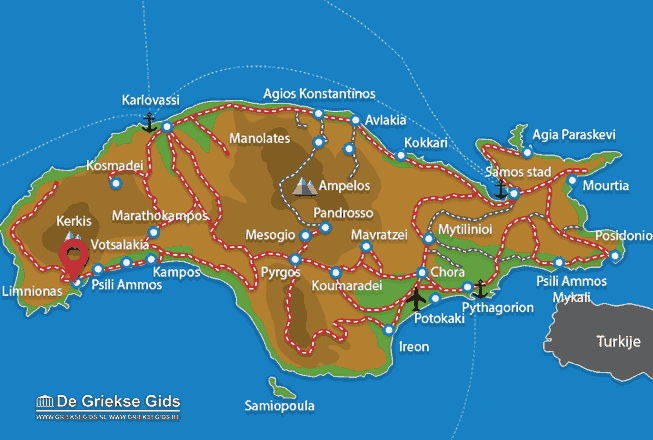 It is located about six kilometers from Votsalakia Marathokampos and by car you're here in ten minutes. 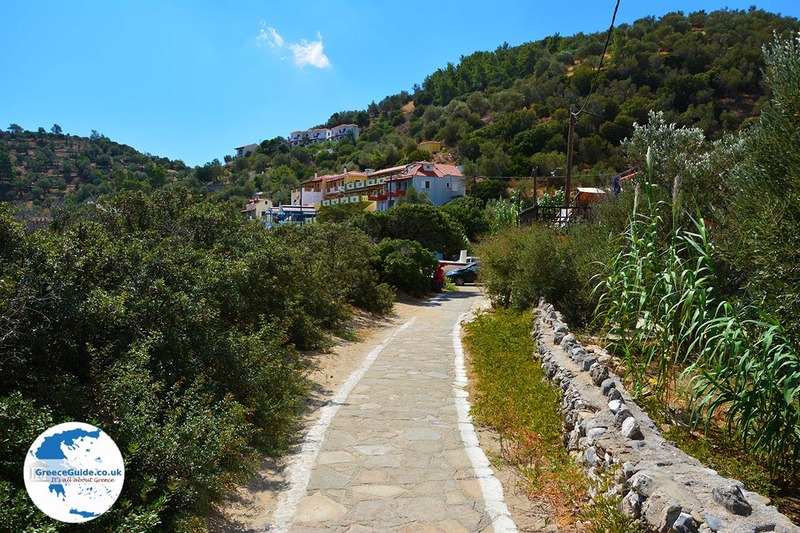 Limnionas is a quiet village, it is idyllically located in a beautiful bay. It is an ideal place for quiet holidays in beautiful surroundings. 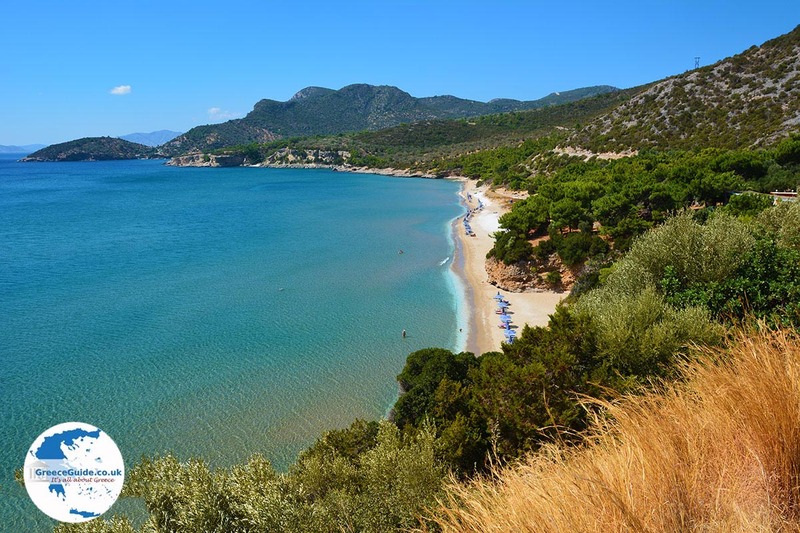 The bay is surrounded by hills and mountains with olive groves and pine trees. The seawater is crystal clear and there is a sandy beach on one side and on the other a beach with small pebbles. 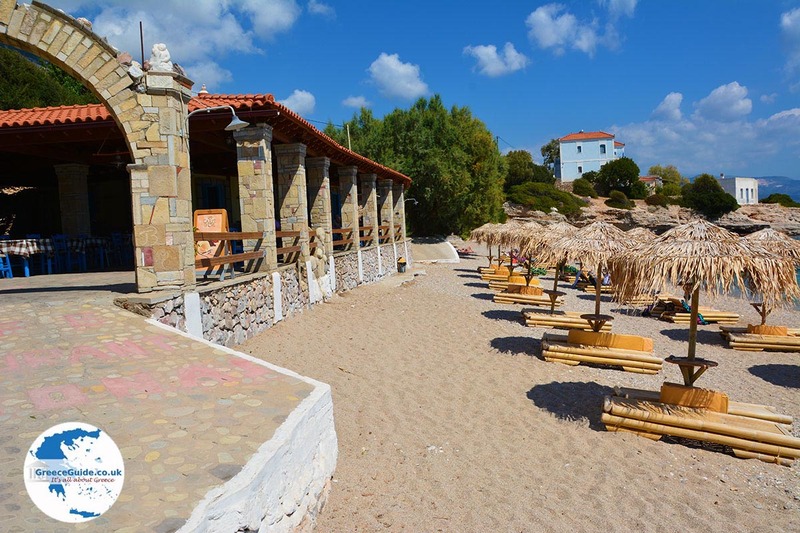 On the beach are some great taverns where you can enjoy delicious meals for little money. 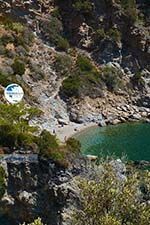 Behind the beach and on the slopes of the hills are small and medium-sized hotels and apartments. 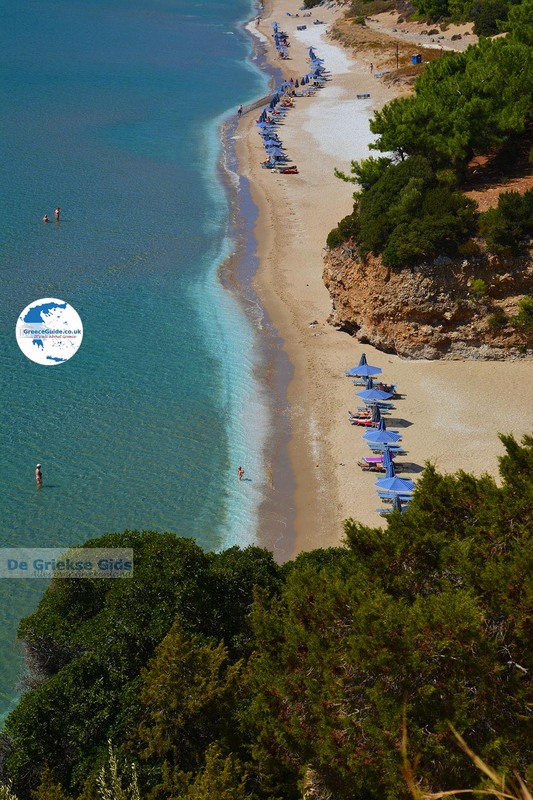 A very nice sandy beach is located a few kilometres before Limnionas, coming from Marathokampos and Votsalakia, at the foot of the mountain Kerkis. 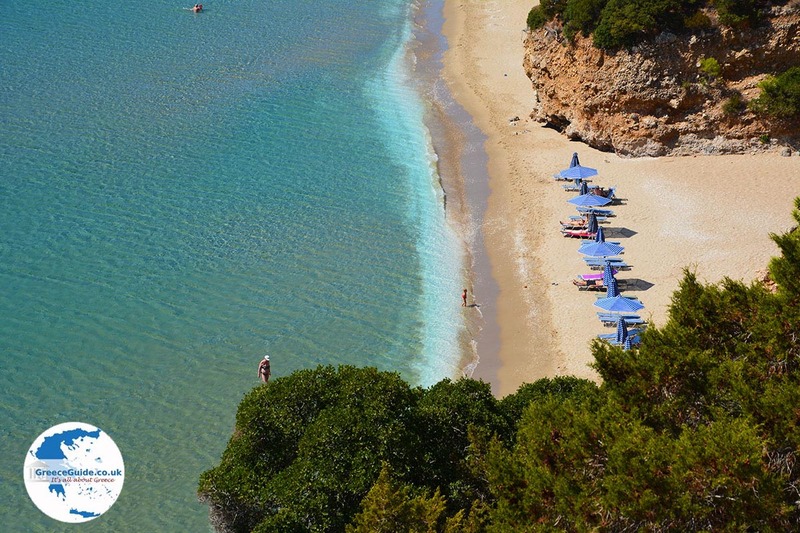 It is the beach Psili Ammos, a long sandy beach with pines and olive trees close to the beach. 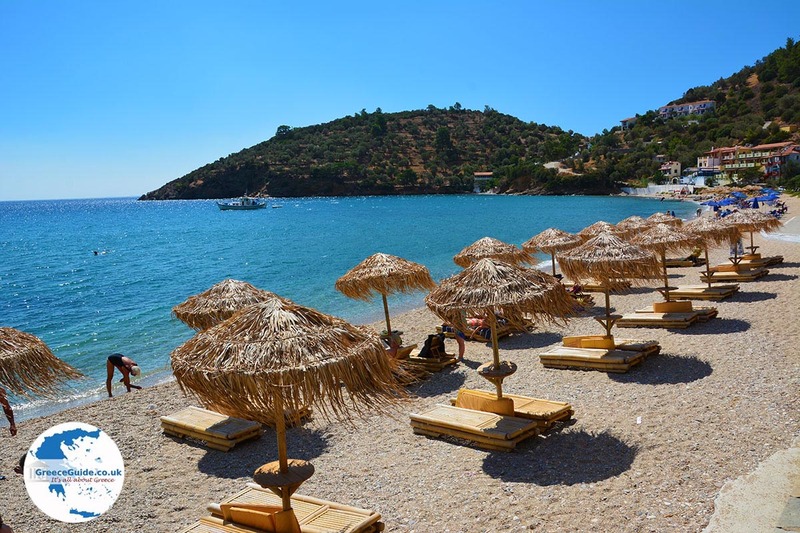 This is one of the most beautiful beaches on Samos. On the beach umbrellas and beach chairs are for rent and the water is not very deep, making it also suitable for families with children. 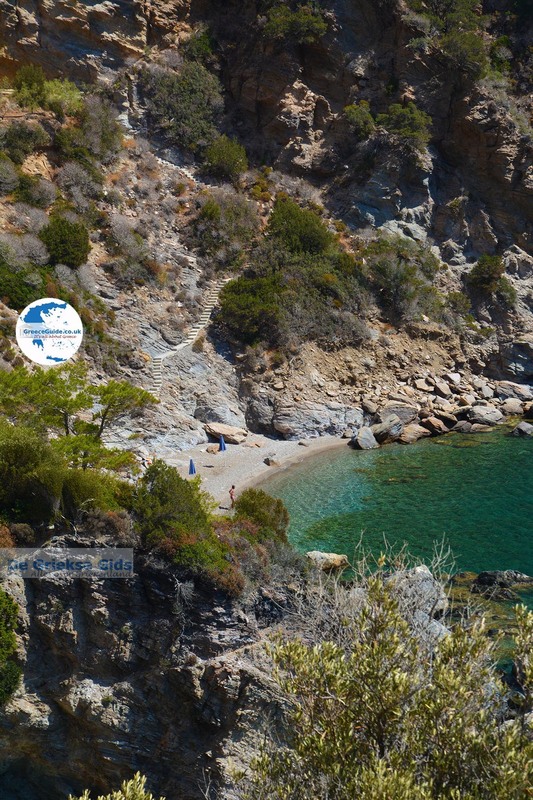 On the other side of Limnionas, west of the village, are some nice pebble beaches in a beautiful bay. To get here you have to drive a little over a dirt road, however we recommend to make this piece on foot. 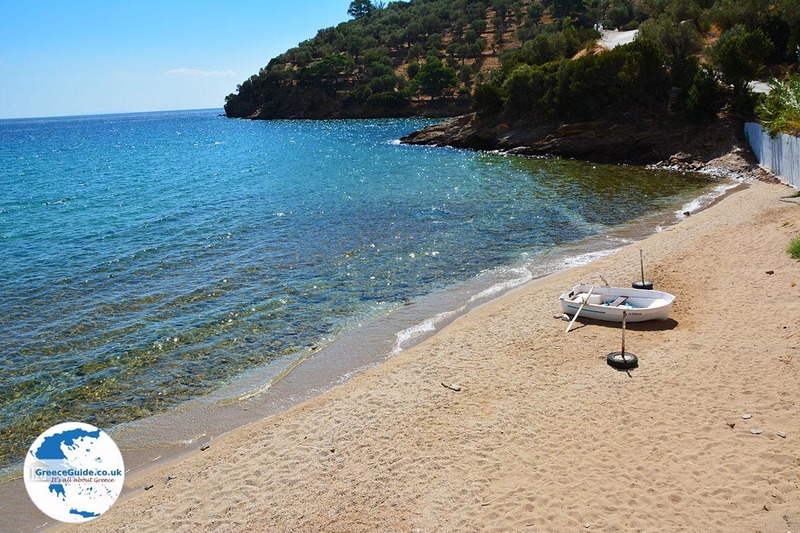 Here are the beaches of Chontros Kavos and Maskria Pounta where sometimes nudist come to swim. 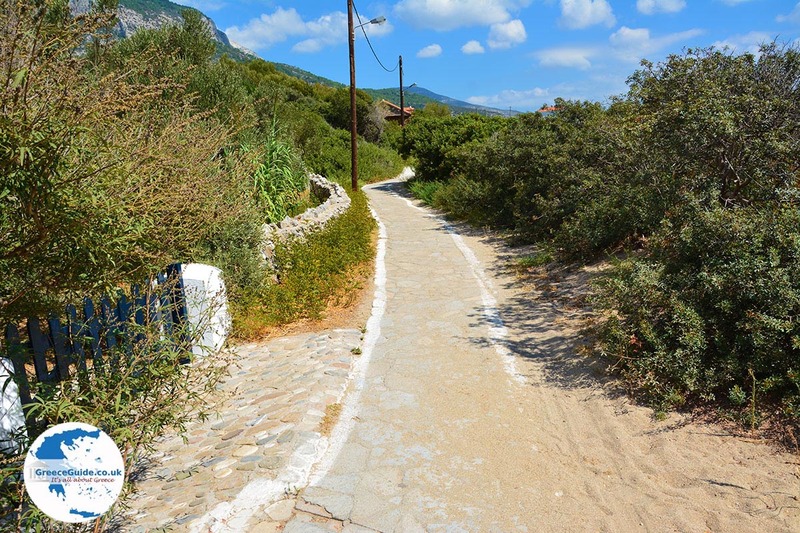 Samos: Where on the map is Limnionas located?